The Fight For Air Climb is one of the signature fundraising events of the American Lung Association. 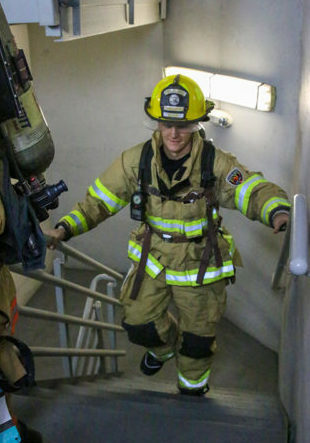 The Climbs are held in prominent skyscrapers and other buildings across the country, giving participants the opportunity to join together with friends, family and co-workers as they climb the stairs of the building to the top! The Climb has been taking place across the U.S. for more than a decade and has raised more than $53 million to support the mission of the American Lung Association.